Evanescent park art | Me fail? I fly! A while back I wrote a couple of posts about shoes abandoned or carefully posed in the streets near my place. Well, we’re moving on to other accessories. 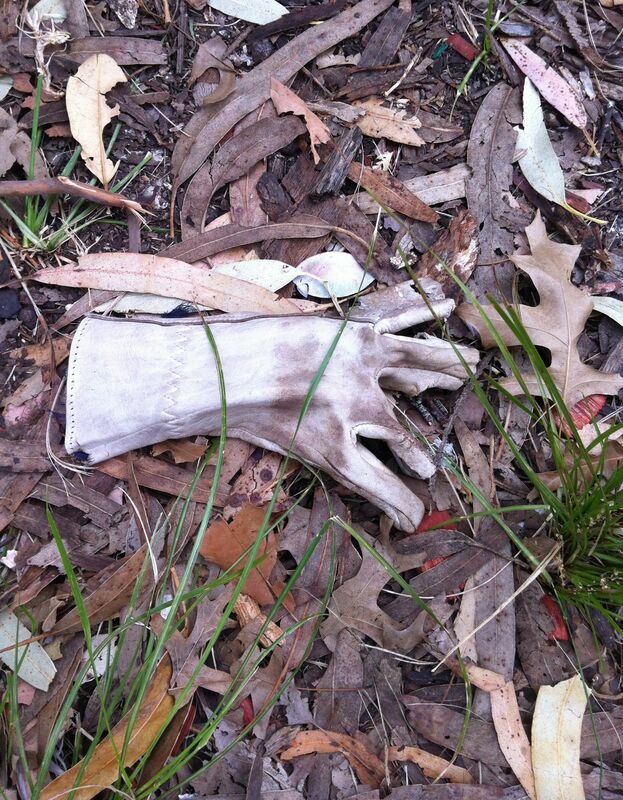 Or rather, one accessory, which seems to be moving around Enmore Park when no one is watching. 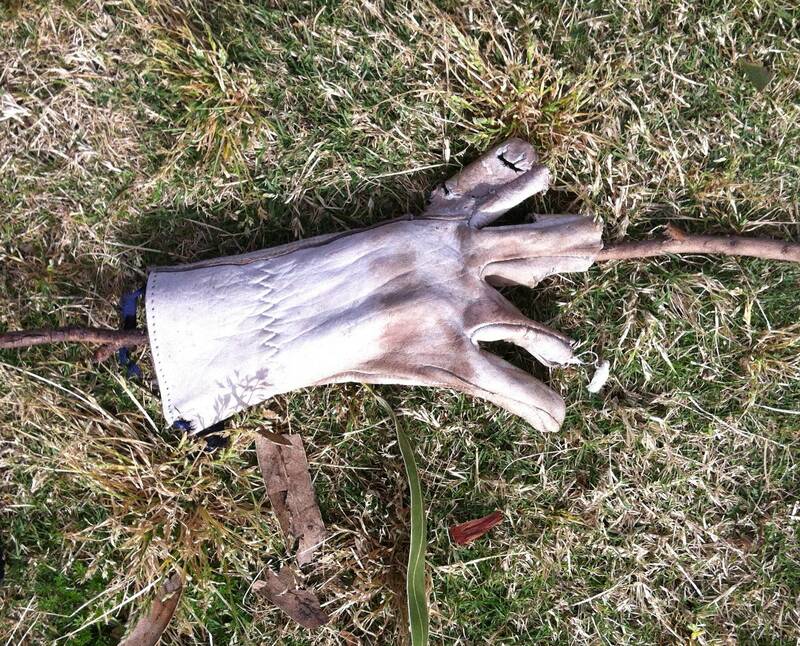 I’ve seen this glove a number of times, in a number of places, but only snapped it twice. This entry was posted in Around Marrickville and tagged phone photo. Bookmark the permalink.